Following on from Andrea’s use-wear analyses on Bronze Age axes, a new experiment is now on the go. 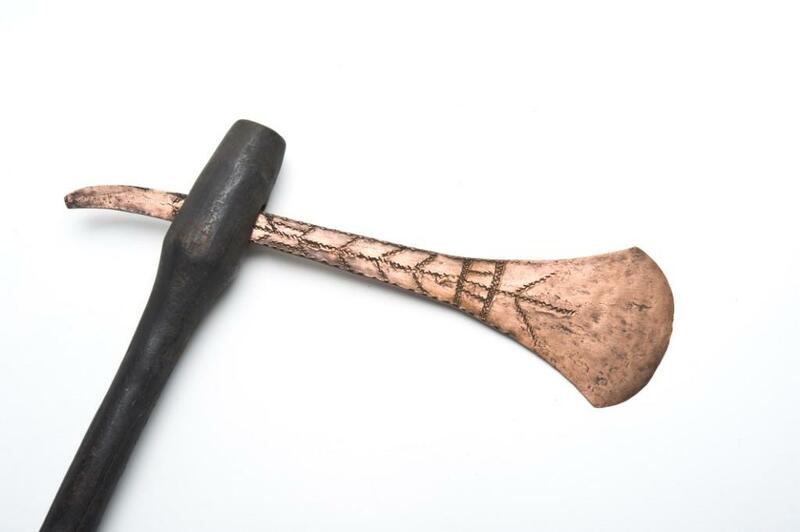 Josh Desrosier, a Newcastle University student, has been working alongside Andrea to test out a number of replica bronze axes. While it may look like we were having a pleasant day out in the woods chopping down a few trees (which we were!) there were some significant aims to the whole exercise. 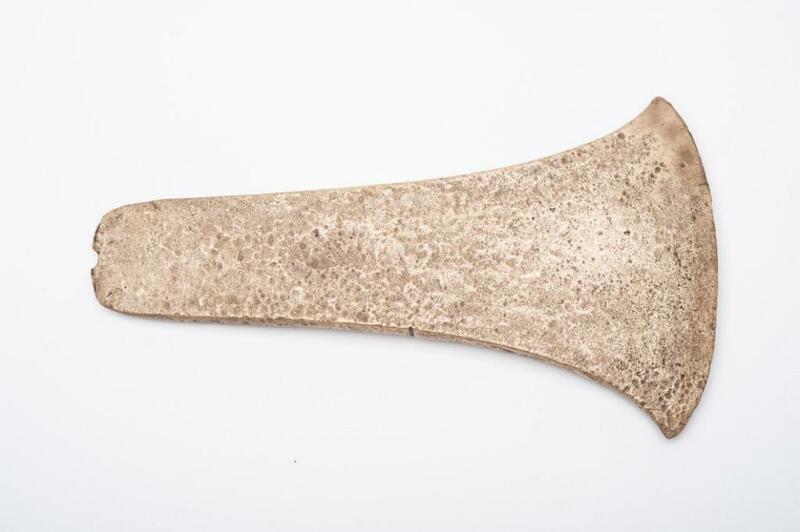 An early Bronze Age flat axe, a mid Bronze Age palstave and a late Bronze Age socketed axe were cast and hafted by bronze smith Neil Burridge. 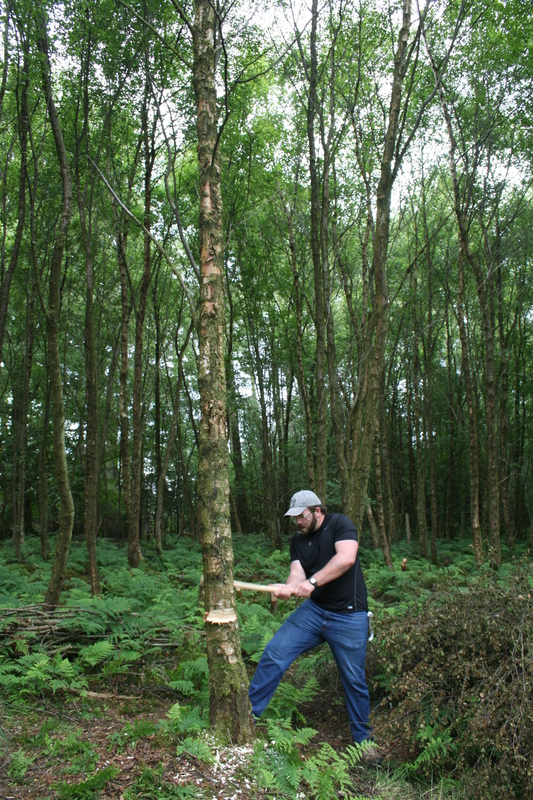 These axes were based on British prototypes and then used by Josh and Andrea in a series of controlled field tests that involved felling and sectioning birch trees on National Trust property near Wallington in Northumberland. 2) whether any of the axes displayed different wear traces during the experiment. While we’re still waiting for the official results of the tests, some effects became clear immediately. 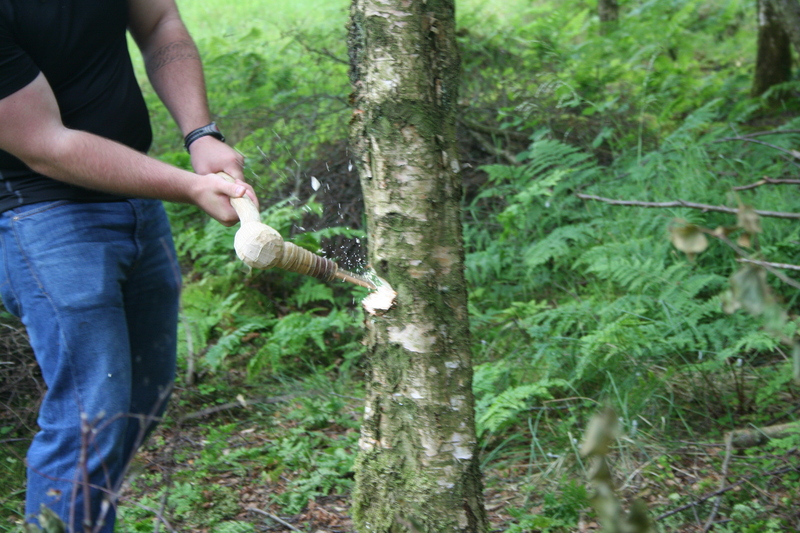 Firstly, a Bronze Age axe in the hands of a fit and healthy individual is a very efficient tool. Josh had some tree felling experience and so knew good techniques, but even so the speed that a tree could be felled and sectioned was impressive. 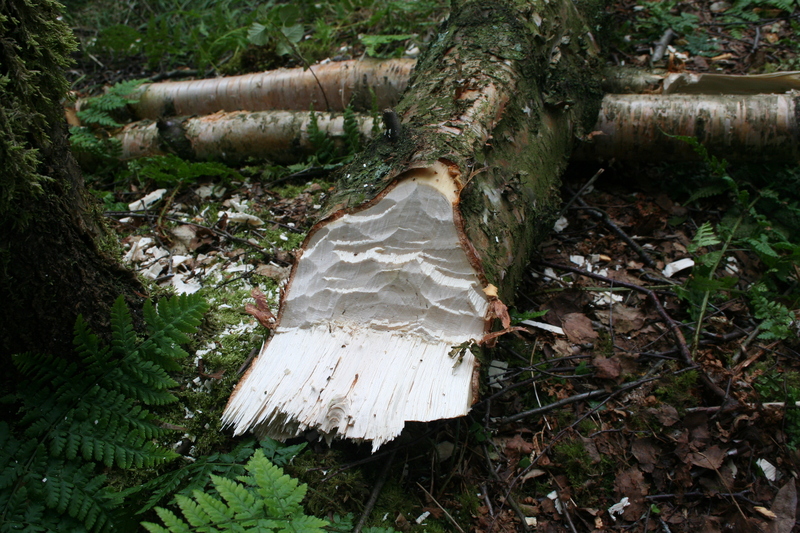 Secondly, we noticed that even after felling four trees, the cutting blade had only blunted slightly- certainly not enough to warrant re-sharpening. But on close inspection of the cutting edge at the end of the day we could see the beginnings of small nicks forming and the tell tale scratch marks that have indicated heavy use on so many of our real Bronze Age axes. Experimental and reconstructive archaeology is not only a lot of fun, it can help answer long standing questions. And after all, why bother getting involved in endless academic debates when a day out in the woods might yield some answers! Taking a cast of the blade. 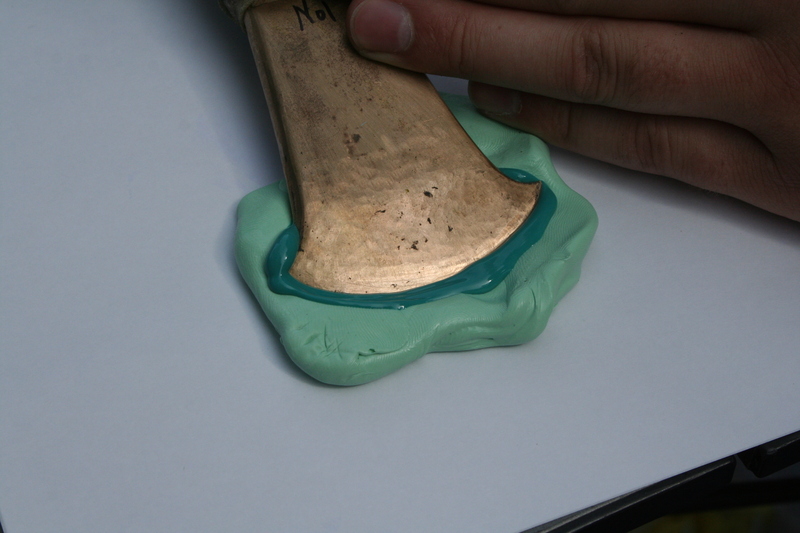 The putty is fine enough to show use wear marks. 1. Has your project team developed new skills as a result of this project? The technical team has gained significant new skills and has also developed existing skills through work on the project. Specifically, through the project the RA has worked with unfamiliar Java technologies leading to extension and development of programming skills. This was the first academic project the RA had undertaken and as a result the RA has also gained new skills in project work and has highlighted that this multidisciplinary project introduced a new mind set and way of working for him. Curatorial and academic knowledge has also been developed and collection data enhanced. During the project the curatorial team acquired new skills in website development and virtual methods of communication as well as skills in data sharing aided by specific website and video training. In addition, existing project management skills were developed; particularly communication across a range of disciplines and stakeholders. The academic team developed new ways of working with and presenting use-wear data and new ways of engaging with non-specialists and the general public. 2. What do you consider to be the headline achievement of your project? The headline achievement of the project at a technical level is the completion of the website bringing together data from multiple sources. The project provides proof of concept for sharing of these data through a single web interface providing access to data from disparate sources without requiring central storage of these data by the website host. The success of the project suggests that there is the opportunity to, and merit in, expanding the number of datasets with which the interface communicates; showing potential for further development and inclusion of data from other museums and data services both nationally and internationally. By doing so the project has significantly increased current access and potential future access to museum collections relating to cutting edge objects. In addition, we feel that the Cutting Edge project has demonstrated the value of interdisciplinary working and provides a model of good practice in this respect. 3. What impact has your project had on your institution? This was the first major collaborative research project between the University and Tyne & Wear Archives & Museum since the opening of the Great North Museum. As such it has created a model of good practice that will be transferred to future projects. It has also brought together for the first time academics from Archaeology and the Digital Institute, creating a new relationship that will be developed and expanded in the future. The Cutting Edge website is also likely to provide a model for future University websites, and has encouraged joint discussions between the University and TWAM to consider developing a bid around Big Data to AHRC later this year. 4. What impact has your project had on the wider sector? The dissemination event held earlier this year indicated that colleagues in universities and museums elsewhere in the UK are interested in the approach we have adopted and further discussions have since taken place. The fact that a British Museum curator is placed annually in the Great North Museum as part of the BM’s training programme provides further opportunity for ongoing impact within the wider sector. Interdisciplinary and partnership working; public access to and engagement with current research. 6. What sustainability measures have you arranged for your project? The potential development opportunities for this project are strong and the team intend to investigate funding opportunities to realise this but currently do not have funding to pursue further work. The website will be maintained onNewcastleUniversity’s IT infrastructure. Collection data enhanced and generated by the project has been added to Tyne & Wear Archives & Museums collection management system, KE Emu. This system will provide long term sustainability and public and academic access to these data. Advice/information: JSON is a prevalent text format for transferring data around the internet, conforming to its standards ensure future compatibility with a wide range of systems. Advice/information: The Google Maps API has extensive documentation for developers who wish to use location based tools to analyse their data. There are several useful example use cases available on their website which have been valuable development tools. A modern way of building web applications is to have an architecture separating the middleware from the UI, through the use of an API. This allows for other implementations built on top of the same middleware and encourages community uptake of data and the capabilities on offer. Separation of these concerns also allows for an agile and scalable system, allowing the website and database to be moved independently of each other if either requires more server resources. 8. Please tell us the one lesson that you would like to pass onto other institutions as a result of your project. The project provided good opportunities for partnership working both between the project members and with external organisations and data providers. However, with hindsight we did not feel that there was always enough time allocated in our project plan to agreeing data sharing with external organisations and contributors and that there are sometimes significant bureaucratic delays to data sharing which ultimately meant that we did not have the opportunity to include or work with as many datasets as might have been possible or desirable. If we were to carry out a similar project again or if we are successful in achieving funding to extend the project, we would factor in more realistic time scales for data sharing and would investigate the potential benefits of providing technical assistance to data providers where the existing data format prevents inclusion in the programme. 9. Please tell us the one lesson that you would like to pass onto other JISC projects as a result of your project. 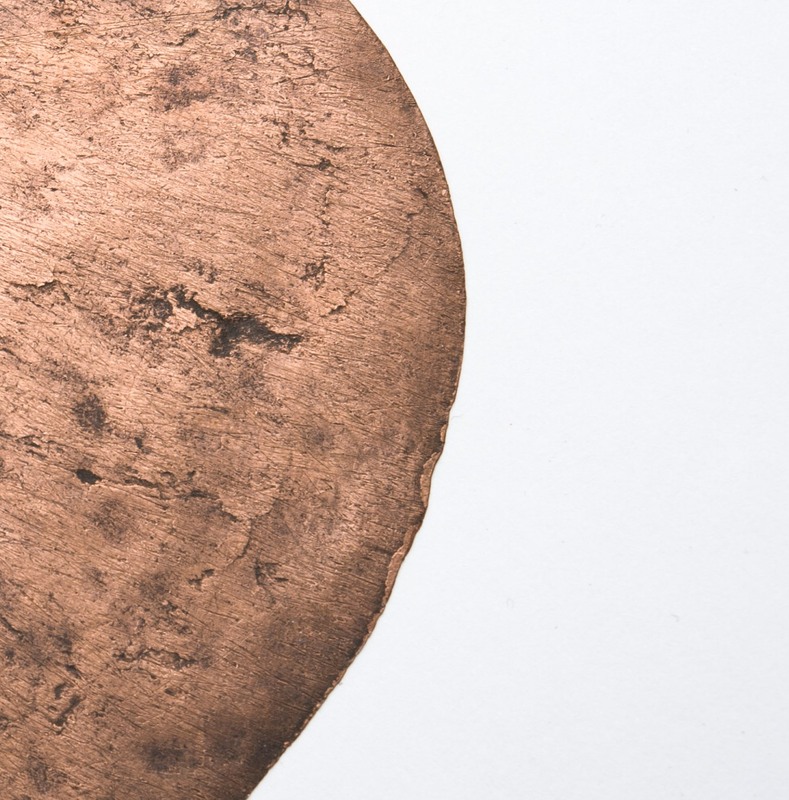 As proof of concept this project has demonstrated that there are significant benefits to interdisciplinary working and significant opportunities for data and technological development of museum collections. 10. What tips would you give to another project manager in terms of project management? Tip 1: Always have a backup plan in mind for different problems that arise. In this case we waited too long trying to arrange a database connection which proved to be impossible, leaving us with too much to do in the time left. 11. Has your project produced any surveys, or collection of data from stakeholders that could be useful in the programme evaluation? The project has produced new high resolution images for the objects included in the programme. The Cutting Edge website also allows users to comment on data. Recommendation 1: It would be useful to develop a generic tool which would allow data holders to share data more easily. This tool would need to be simple to use so that anyone, including users who do not have extensive knowledge or experience of electronic data sharing, could share data in a quick, useable and simple way. Recommendation 2: The Cutting Edge project represents the tip of the iceberg, as proof of concept it could be applied to wider collections and to other museums. There is the potential with further funding to apply this work nationally and internationally to a range of data and museum objects. 13. If you were to do your project again, what would you do differently? With the benefit of hindsight and the lack of a useable direct database connection, we would have used the same architecture as the current setup; however, we would have used a different language in which to implement the solution. The use of Java is needless in its current state, but was correctly chosen as the best choice when waiting for access to databases. With the current data sources either PHP or raw HTML would have been a better option. If we were to repeat the project we would also look to involve more students; the project could have provided valuable training and skills development opportunities. 14. What could JISC have done better in managing the programme? It would have been beneficial to have a greater time period between the call for projects, the outcome of the application and the starting date of the project to allow for recruitment to take place. A very interesting article in The Guardian online- it’s good to see research on prehistoric stone blades being included in everyday publications. Just as the Cutting Edge website is nearly ready to go live, our project team have been busy telling various colleagues and associates what we’ve been up to. At ICT technological and archaeological conferences around the world, the Cutting Edge has been well received and has generated great interest. The attachments below link to the two posters that have been used to promote the Cutting Edge- one that promotes the technological side of the project and another that looks at the archaeology and use-wear procedures involved. The past three weeks have been frenetic to say the least. The photography part of our project is now complete (a whole week ahead of schedule!) and I don’t mind admitting that there were big sighs of relief all round as we finished photographing our 1,029th object. After viewing some of the initial raw images however, we soon realised that all of the intense hard work was worthwhile. The close-ups taken of certain blades, especially some of the bronze age swords and axes, are astounding. The extremely high resolution of the images are of such good quality that all manner of scratch marks, notches and other signs of use can be seen clearly. All of the raw images are currently in the process of being copied, renamed and reformatted, but I’m sure that when we get the finished product the Cutting Edge team will agree it was worth being holed up in a basement store for three weeks. 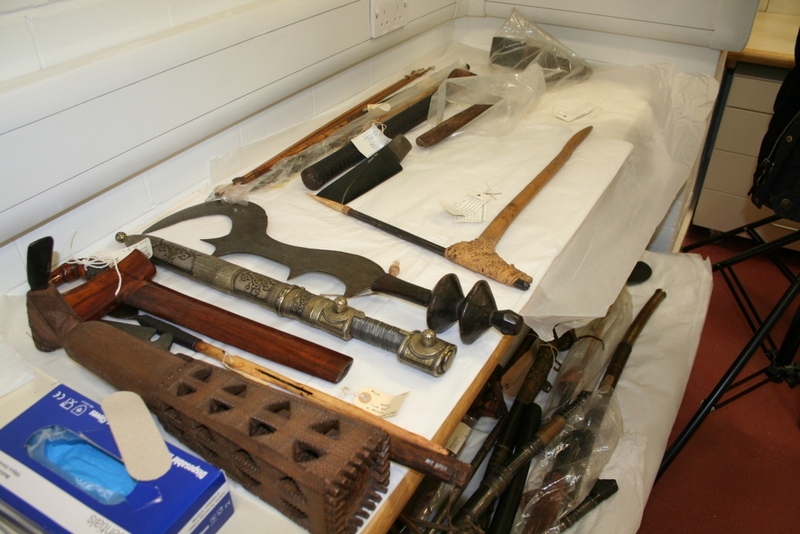 Tools and weapons from the ethnography collection laid out ready for photography. 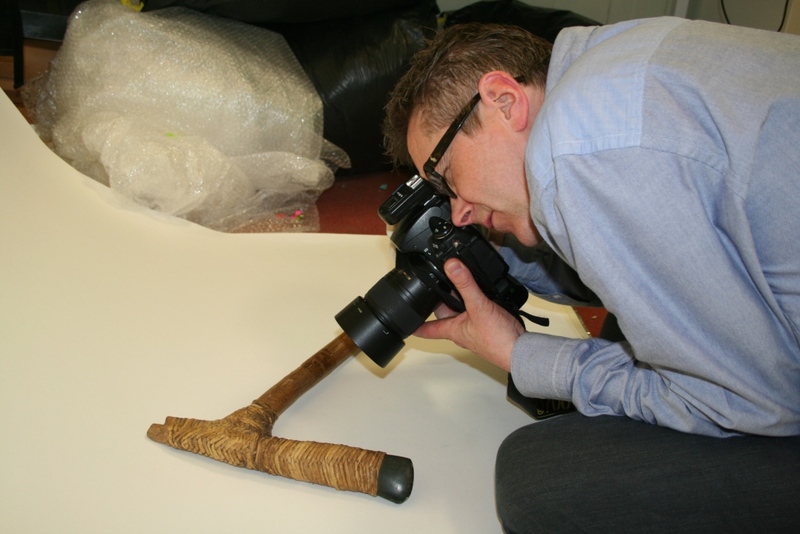 Photographer Colin Davison gets in close to capture the detail on a stone adze from Papua New Guinea. 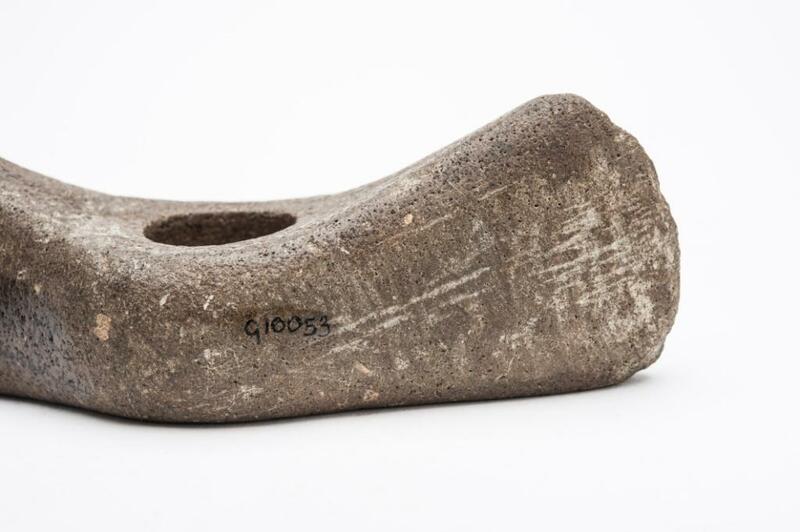 This object is also one of our case studies and will undergo use wear analysis to provide us with even more data. August is going to be a key month for the Cutting Edge project. 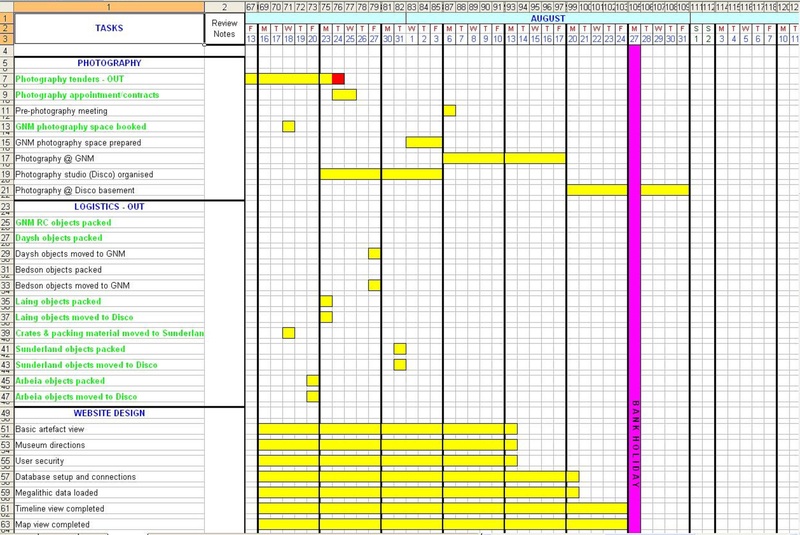 Looks like both the curatorial and technical teams are going to be very busy according to our plan of action…. While Mark, Stephen and all the technical guys at Newcastle University’s Digital Institute are all gearing up towards completing important phases of the website development, activity is increasing over at the museum aswell. 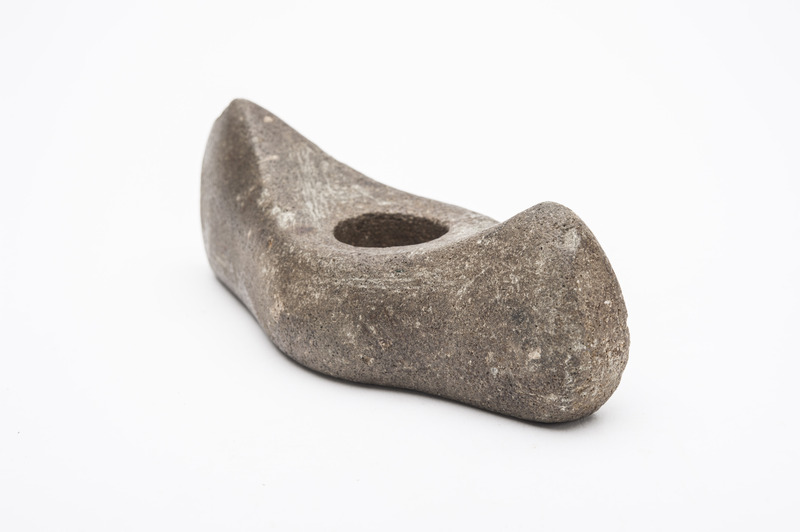 Monday 6th August will see the beginning of a vital stage of the project- object photography. We have now picked out just over 1000 objects that will be highlighted for the Cutting edge project- alongside objects from collections belonging to the Society of Antiquaries and the Natural History Society of Northumbria, we will be using objects that have been kindly loaned to us from the Laing Art Gallery, Sunderland Museum & Winter Gardens and Arbeia Roman Fort. These objects have now been packed up and shipped over to our two temporary photography studios based at the Great North Museum: Hancock and the GNM Resource Centre based at Discovery Museum. 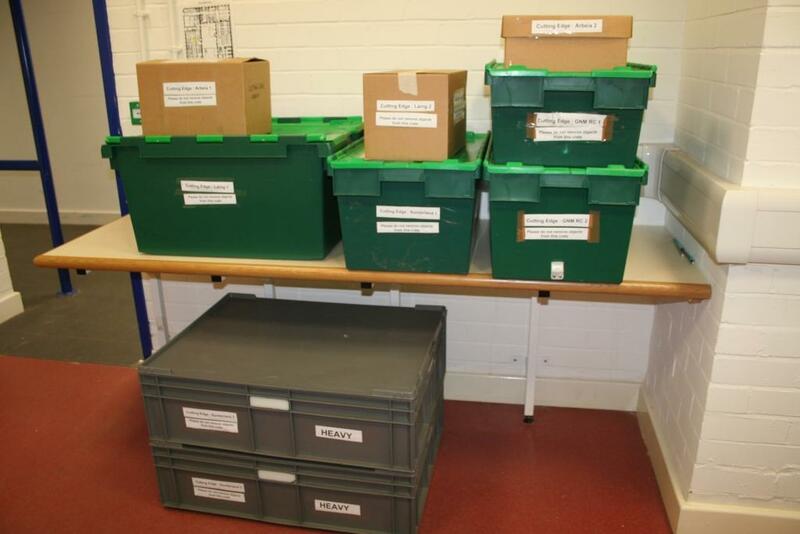 Objects loaned to us from Tyne & Wear Archives and Museums ready for photography at the GNM Resource Centre, Discovery Museum. 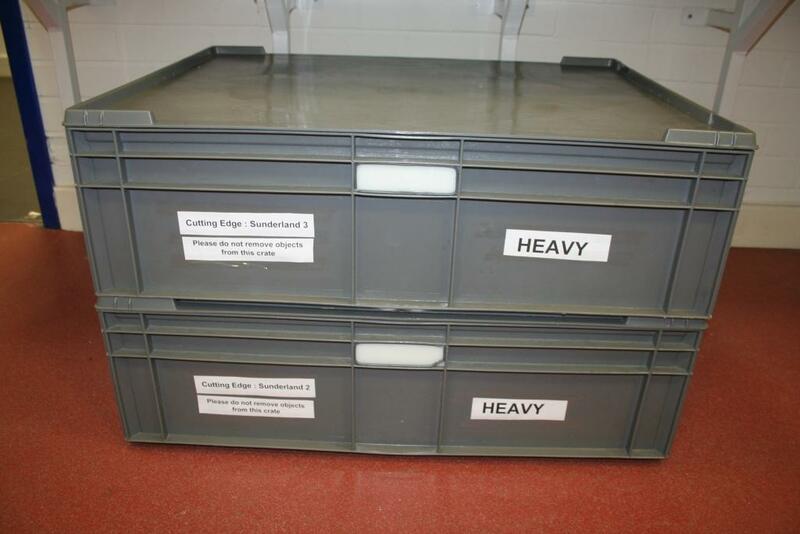 Crates of Danish stone axes from Sunderland Museum & Winter Gardens- not easy to move about by yourself…! 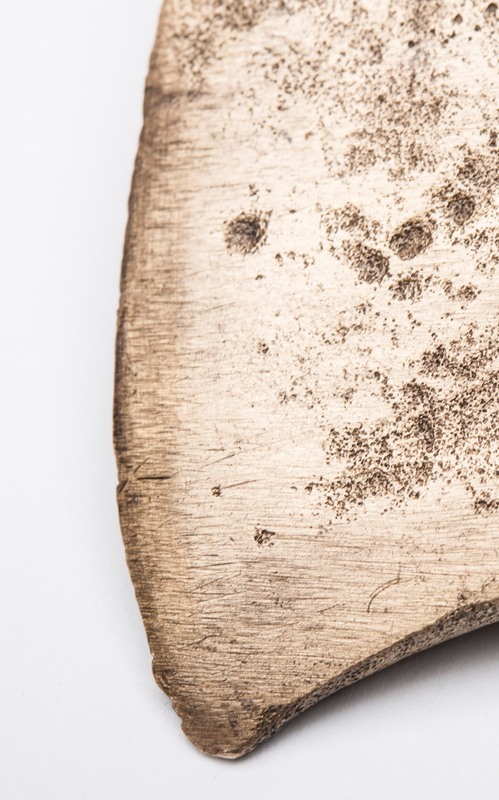 Good images are a must for any website, but as part of the Cutting Edge project is specifically about blade analysis, images of our prehistory and ethnographic objects will be a lot more detailed than usual. These are interesting times for the curatorial and prehistory specialists on the Cutting Edge team. It’s always exciting to be able to conduct new research on collections, particularly on prehistory collections as these are often the types of objects that are often lacking in information. Hopefully when our new digital images are integrated into the website and used alongside all of the datasets that Mark has been incorporating, we may be able to look on our prehistory collections in an entirely new light. Research Assistant Mark Turner explains his thoughts behind the design of the Cutting Edge website. When designing the architecture for a system for a problem which the Cutting Edge project is trying to solve, it is important to keep the solution as general and flexible as possible. This generalisation is what enables the system to scale easily, being able to incorporate new requirements and integrate them as seamlessly as possible. In this instance the idea was not to not think about the information the Cutting Edge database actually contains, only that there is some data. Similarly with the users, the exact types and privileges of each role are not important, only that those roles exist. To allow for multiple data sources, some outside the control of the project, it was decided to introduce a level of abstraction between the Cutting Edge website and the database. By treating the Cutting Edge database like any other data source consumed by the system, it allows the website to be built in a block-like manner, with no need to make the Cutting Edge database some kind of special case or precedent. In actual fact the website has no notion of there being a database; it only knows that there is a web service which returns Cutting Edge data. This abstraction allows for future changes to be made to the Cutting Edge data store without the need for major work on the website. The type of database could be changed completely and the web site might never need to be changed. The social network Twitter works in this way. It has an Application Programming Interface (API), which it allows other people to use and develop their applications on top of. Twitter simply treats itself like any other developer and effectively uses its own API for its website and mobile apps. 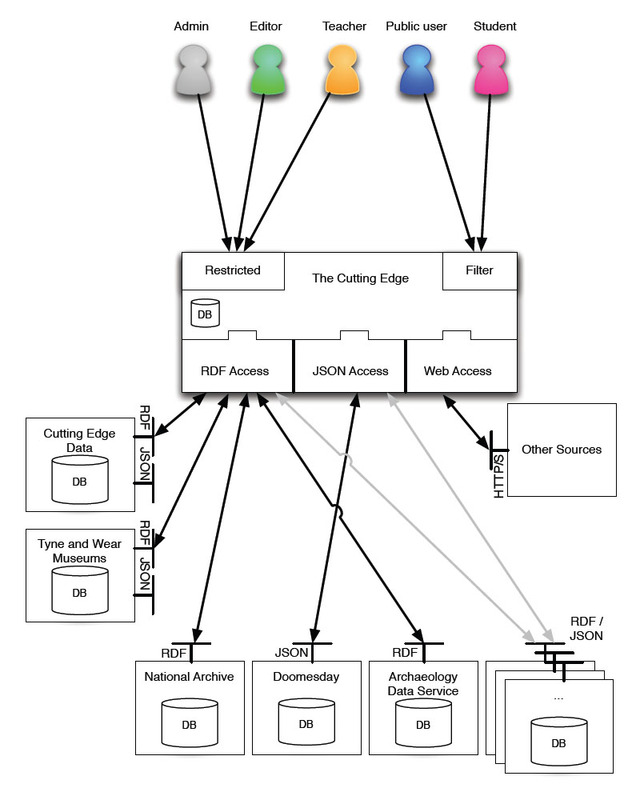 Figure 1 shows the final architecture for the Cutting Edge system. This type of architecture has allowed the introduction of other third party data sources with minimal modifications to the architecture. Third party data sources such as the Archaeological Data Service and The National Archives are treated the same way the Cutting Edge data is, using much of the same application code. This commonality is what makes the system highly scalable, more and more third party data sources can be added over time without the need for the system to be heavily modified each time. Designing for the web is often the fusion of two roles, functionality and design. In the first case whatever function the website performs must not only work, but must perform its task in a useable and intuitive way. Design enhances a user’s interaction with the website, perhaps representing information in a different way or making it easier to find and read information. Despite the arguments of developers and graphic designers, one cannot exist without the other and be a success. The internet is littered with examples of websites which either look visually stunning but simply do not work, or provide fantastic information that is utterly unreadable. Designing for an audience is crucial, in the same way that people write with their audience in mind, so a web design must plan for the website’s audience. In this case the Cutting Edge project must cater for a wide range, from both professional and amateur researchers to children and educational groups. For this reason the use of intuitive controls that people can just pick up and use are vital. Whilst it can be generally assumed that researchers will be prepared to study instructions, and spend the time learning to use something, the general public and especially children are far more discerning. People have short attention spans- if they encounter something that doesn’t work or is hard to use then within seconds they will go and try to find information from another source. Capturing people’s attention and keeping it is the key to good design. Good design can start with very basic and simple things, such as choosing the right contrast between the text colour and background colour. The tradition of dark text on a light background exists because it is easier on the eye. You only need to imagine trying to read something like red text on a bright blue background to realise how difficult reading with a low contrast is. For the Cutting Edge project it is also important to create a website which allows the user to view the collection in different perspectives. Humans are not often very good at comprehending long lengths of time for example, so the inclusion of a time line on which objects in the collection can be shown allows users to see how the objects relate to periods in human history. Designing a public website for the Cutting Edge project is an on-going and interactive process which hopefully will lead to a tool which is both useful and enjoyable to use.